Starting a small business can be taxing, both literally and figuratively. 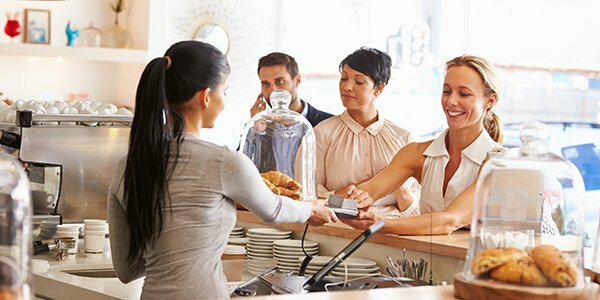 Figuring out your business tax obligations is one of the biggest hurdles facing small business owners. You never know when Uncle Sam is going to conduct an audit on your business, so it's best to make sure you cover all your bases. 1. Keep good records for at least 7 years. As you probably know, you'll need to keep all your receipts for year-end accounting -- especially if you're claiming deductions (see Tip No. 10, below). As far as tax records go, you should keep them for the period of time in which you're allowed amendments to your tax return. The actual duration depends on the type of amendments you're making, but the longest duration for the IRS is seven years and applies to bad debt deduction. 2. When is Tax Day? It depends on your type of business. Although April 15 is when most individuals need to file their taxes, your business' tax due date may be different depending on the type of business you own. For example, partnerships and multiple-member LLCs need to file by March 15 (unless that day falls on a weekend, as it does in 2014), according to About.com. Sole proprietors and single-member LLCs must file by April 15, the same as the individual tax return deadline. 3. 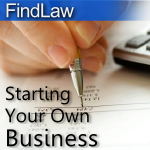 Sole proprietor or self-employed? Fill out Schedule C. For sole proprietors who earned at least $400 in the last calendar year, you must fill out Schedule C and attach it to Form 1040. 4. Partnership? Fill out Form 1065. Small businesses with a partnership organization must file Form 1065. A partnership will calculate its income and file its returns the same way an individual does, according to Bankrate.com. 5. Corporation? Fill out form 1120 or 1120S. All corporations must file an income tax return using Form 1120, even if the corporation is bankrupt. However, if your business is an S corporation, you must use Form 1120S to report your deductions, income, and shareholders' pro rata share items. 6. Do you need to pay estimated taxes? Sole proprietors, self-employed individuals, partners, and S corporation sharholders who expect to owe $1,000 or more in taxes (and corporations that expect to owe $500 or more in taxes) must pay estimated taxes on income. Estimated tax calculates the tax to be paid on income that's not subject to withholding, according to the U.S. Small Business Administration. Estimated taxes are to be filed quarterly by April 15, June 15, September 15, and January 15. 7. Sales tax due dates may vary. Sales tax is regulated by your state, so check with your state's tax agency to determine the due date. 8. Do you owe excise taxes? A small business tax tip for owners who use trucks and buses on public highways: You probably owe excise taxes. These taxes could include environmental taxes and fuel taxes. 9. Do you have employees? Learn more about withholdings. If you have employees, you must withhold federal income taxes from employee wages and pay them to the IRS. You also have to provide employees with a W-4 form for their withholding exemptions. All ordinary and necessary expenses, which can include travel, equipment, and consultants. Just make sure you keep your receipts. Other expenses for valid business purposes, which may even include things like coffee and donuts. Your Obamacare employee health-insurance premiums. Under the Affordable Care Act, some small businesses can qualify for a health care tax credit and have up to 50 percent of their employee premiums paid by Uncle Sam in 2014. Remember, these small business tax tips are just a basic overview. To learn more about federal tax deadlines, the IRS offers a handy calendar to keep business owners on track. To learn more about business taxes in general, check out FindLaw's comprehensive section on business taxes or use our lawyer directory to find an experienced tax attorney in your area.